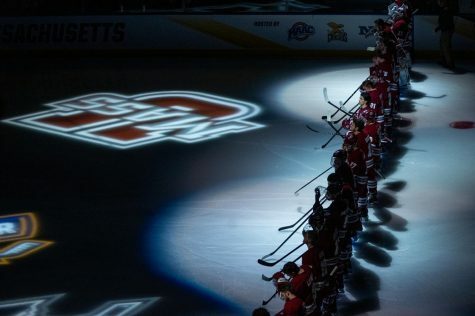 The Massachusetts hockey team’s first true home-and-home series of the season begins on Friday as the Minutemen clash with Boston University at the Mullins Center for the first of two games on Halloween weekend. 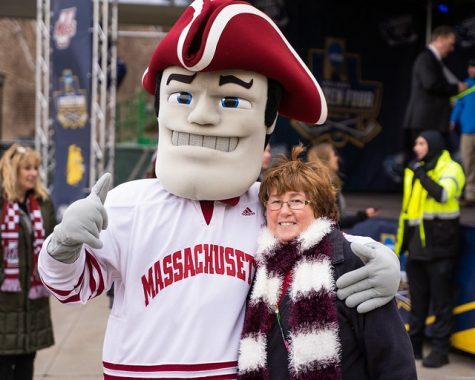 Students and fans alike can look forward to the typical costume contests and holiday festivities surrounding the game as the Minutemen (1-2-1 overall, 0-2-1 Hockey East) try to bounce back from a 4-2 road loss to No. 1 Boston College last weekend. 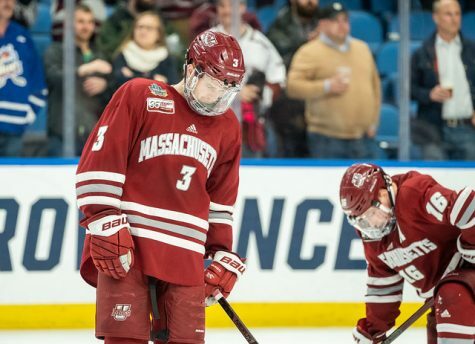 UMass head coach Don Cahoon said that the reason UMass wasn’t successful against the Eagles was because the squad deviated from its game plan and wasn’t able to execute properly down the stretch. This time, the Minutemen appear to be more prepared. The No. 13 Terriers (2-2 overall, 1-1 HEA) are certainly a tough team as well, and their play so far has reflected the talent and size they possess throughout their roster. The Terriers have 18 players over 6-feet tall and eight of those 18 are at least 200 pounds. 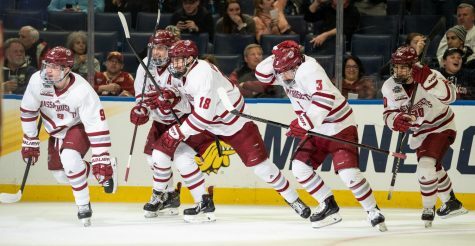 However, this is a different matchup for the Minutemen than in past seasons, as UMass added much needed size its roster this season. 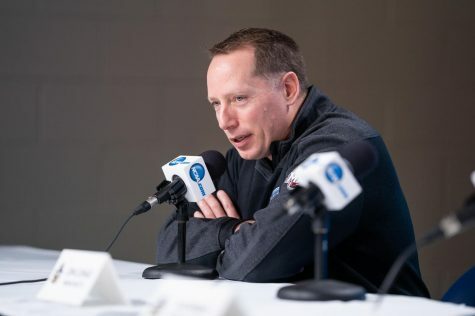 For the first time in a number of seasons, the Minutemen likely won’t be dwarfed by their neighbors to the East, and stand a good chance of winning the game if they can find a way to use their speed and shooting skills. Cahoon said that while BU is certainly a more physical team than the Eagles, it doesn’t matter so much about the size of the opponent as it does on the way the Minutemen execute their game plan. The Terriers are coming off a 5-4 loss to Holy Cross last weekend. Junior Alex Chaisson scored two goals in the contest, but the team’s comeback fell short in the third period. The then-No. 7 Terriers dropped six spots in the rankings following the defeat. 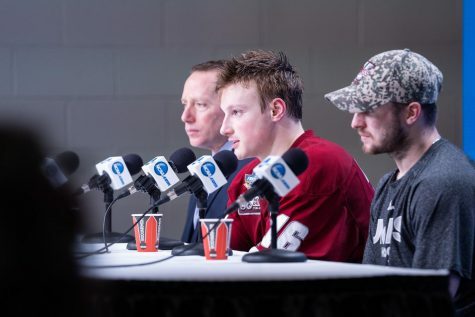 One of the problems plaguing UMass has been its discipline. Through four games, the Minutemen have tallied 25 penalties for a total of 89 minutes in the box. 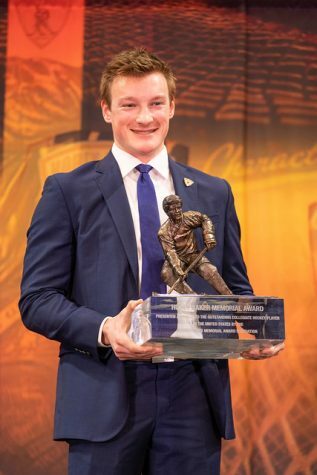 What’s more, the team is averaging 21.2 penalty minutes per game, something that Cahoon has tried to curb in practice. 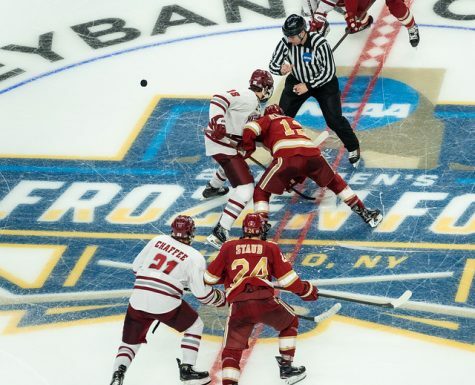 Of the 25 penalties against UMass this year, three have been 10-minute infractions including one game misconduct call. 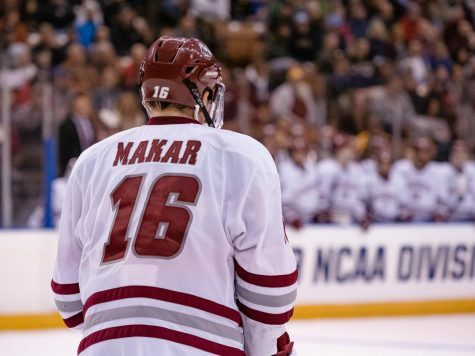 Also, the squad has been called for a number of stick penalties, something that UMass isn’t used to seeing. Against a team as tough as BU, the Minutemen can’t be taking bad penalties that are easily avoidable. “We need to eliminate the penalties that we can control and deal with all the other ones as they come,” added Cahoon. The puck is scheduled to drop at 7 p.m. and the game will be televised on the New England Sports Network. Following Friday’s matchup, the Minutemen will head to Boston for the second game of this home-and-home series. Michael Wood can be reached at [email protected] or followed on Twitter @MDC_Wood.